The Manchester RS, made by the Olhausen company, is a great table that has a solid design with numerous high end features. 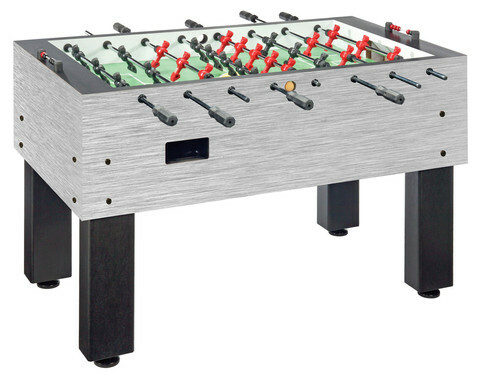 It offers octagonal handles, 3 man goalie, modern foosball man toe design, side ball return, adjustable leg levelers, and bead style scoring units. 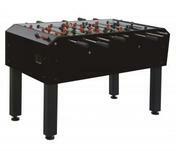 This table is also sold as the SureShot RS by the Performance Games manufacturer.